Product Information : This is a slow growing, conical shaped tree with shiny, dark green leaves with 2 whitish bands underneath. The cones are blue-violet before maturity. Best in cooler climates, but can tolerate some heat. 'Blauer Pfiff' has blue needles and has a spreading form. 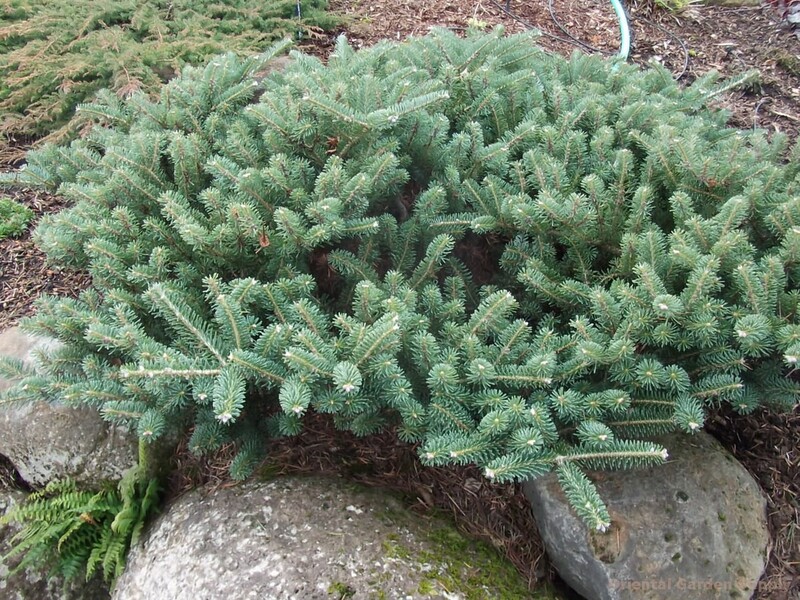 It has flat, blunt needles and tiered, horizontal branches. This plant enjoys plenty of sun, cooler climates and acidic soi.